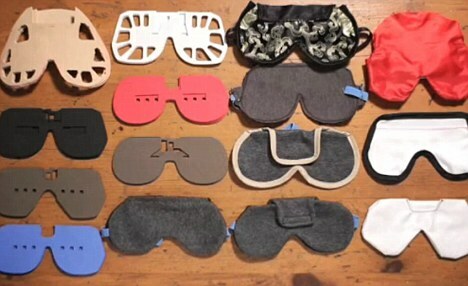 a duo of developers from Brooklyn, New York, have built a sleeping mask designed to allow people to have lucid dreams that they can control. 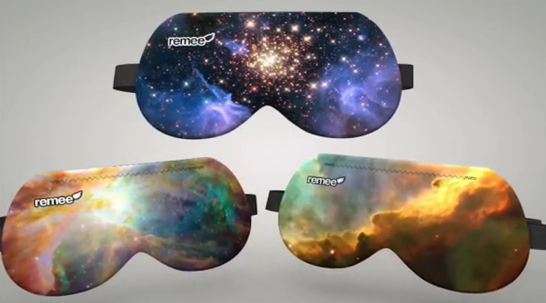 while it may look like a standard sleeping mask, Remee has been billed as a special REM (Rapid Eye Movement) enhancing device that is supposed to help steer the sleeper into lucid dreaming by making the brain aware that it is dreaming. 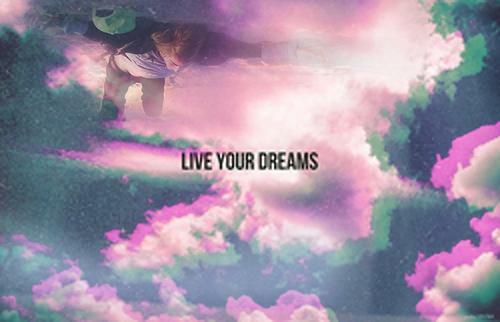 The goal of the product is to allow people to have the dreams of their choice, from driving a race car to flying to having lunch with Abraham Lincoln. Ten years after Christopher Nolan’s idea (“Inception“… d’you remember that movie? a team of corporate spies enter a man’s dream to plant an idea into his subconscious, it is set in a world where technology exists to enter the human mind through dream invasion † ), the futuristic invention is the brainchild of Duncan Frazier and Steve McGuigan, both aged 30, who have started a company named Bitbanger Labs. The inside of the sleeping mask features a series of six red LED lights that are too faint to wake the sleeper up, but visible enough for the brain to register them. The lights can be programed to produce a sequence designed by the user. Follow the light: Remee features six LED lights that produce a sequence allowing the user to have lucid dreams. Sleep stages are divided into two main categories: non-REM and REM. People go back and forth between these stages throughout the night, with REM stages, where most dreaming occurs, lasting the longest towards morning. 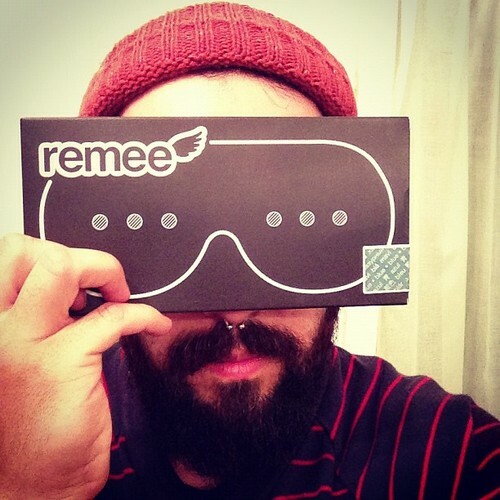 Remee apparently notices these longer REM stages and ‘enters’ the dream via the flashing lights. The device will wait for four to five hours for the sleeper to get into the heavy REM stages before the red lights turn on. The idea is simple: you are playing a perfect round of golf in a dream, and you see a pattern of red lights flashing in the distance. 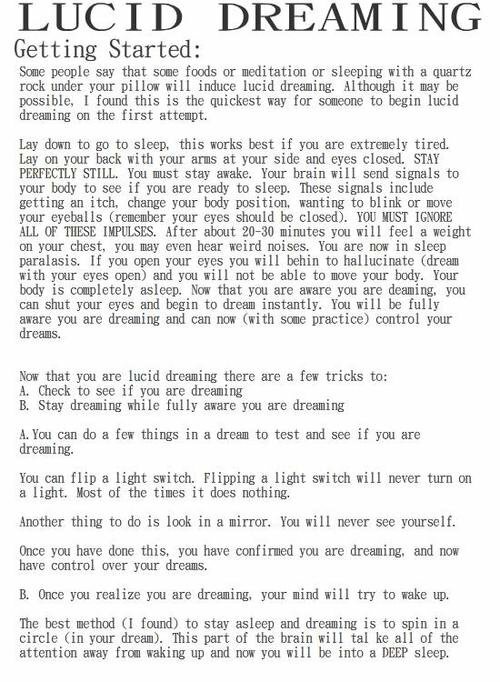 Because the pattern is in a particular sequence, it would signal to you that you are dreaming, not unlike the totem object in Inception. Once you realize you are in a dream, you can then decide what happens next, whether it be a quick trip to Antarctica or time travel. 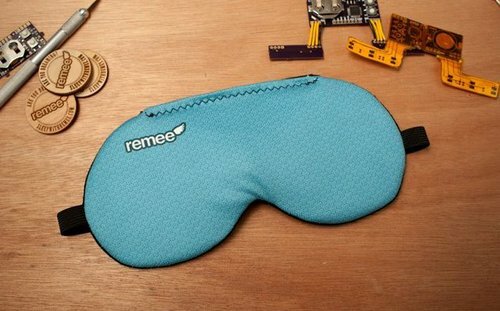 Rather than encumbering the mask with buttons and controls, its inventors set up a website called sleepwithremee.com where users can adjust the setups, such as when to start the light sequence and when to repeat it. The intensity of the lights can also be changed. 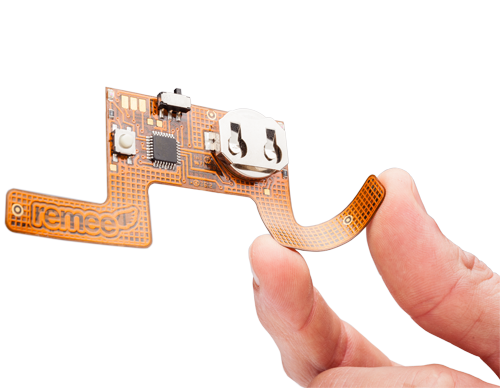 Remee will display light patterns for 15 to 20 seconds, with a second delay of 15 minutes between each signal. During non-REM sleep, the lights are unlikely to affect the user. He also added that LED lights are not known to cause seizures. McGuigan said that he uses his Remee several times a week, but he admitted that reaching a state of lucidity can be ‘hard’ and does not happen every time. The two inventors began working on the mask last February after reading studies focusing on lucid dreams that were conducted at Stanford University in the 1980s. That is also when the first models of ‘dream machines’ were created. McGuigan graduated from Lock Haven University with a degree in computer science. Frazier studied film at Arizona State University, although McGuigan said that their technical skills overlap. from. Simply pinch your nose and then try annd breathe in with your mouth closed. – or you won’t remember them at all.